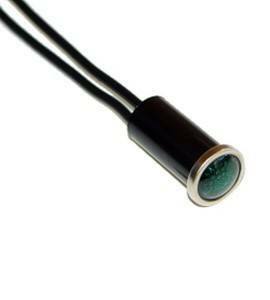 12 volt indicator light with wire leads for easy installation. Chrome bezel mounts into ½” hole. Rated to 3 AMPS. Green Color.